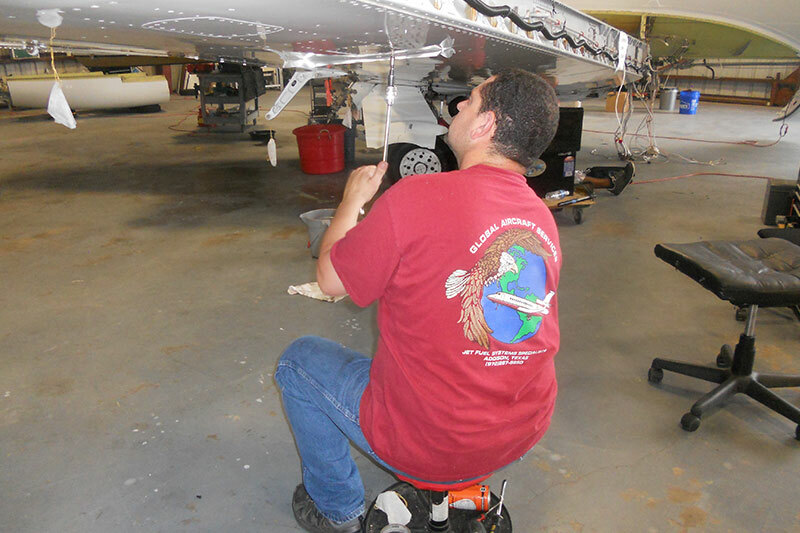 Aircraft leak detection and repair can sometimes be as easy as removing and replacing a fastener, or they can sometimes require more extensive work if a crack or any corrosion is detected. Once the problems are identified, we will provide you with an estimate for the repairs; we recommend having the jet tank repairs done at the same time as the inspection to minimize downtime and increase cost-effectiveness. 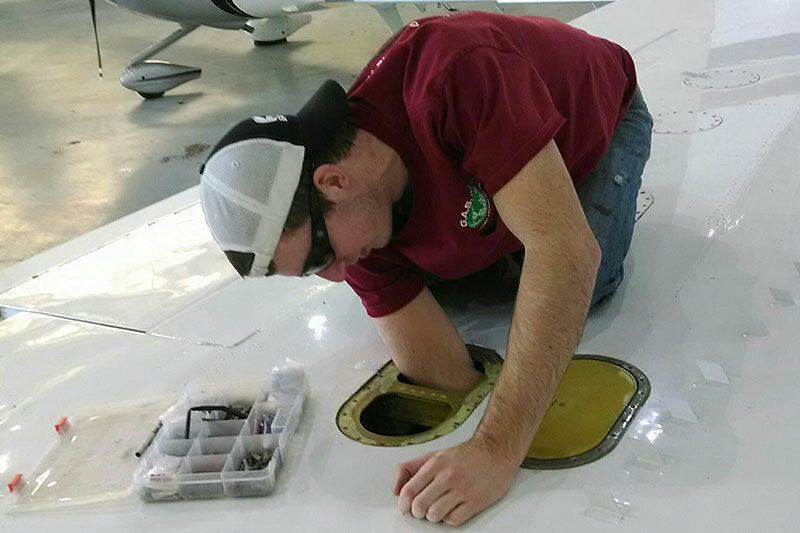 Our goal is to service your aircraft in a timely fashion in order to minimize downtime and restore your fuel tanks to top condition. 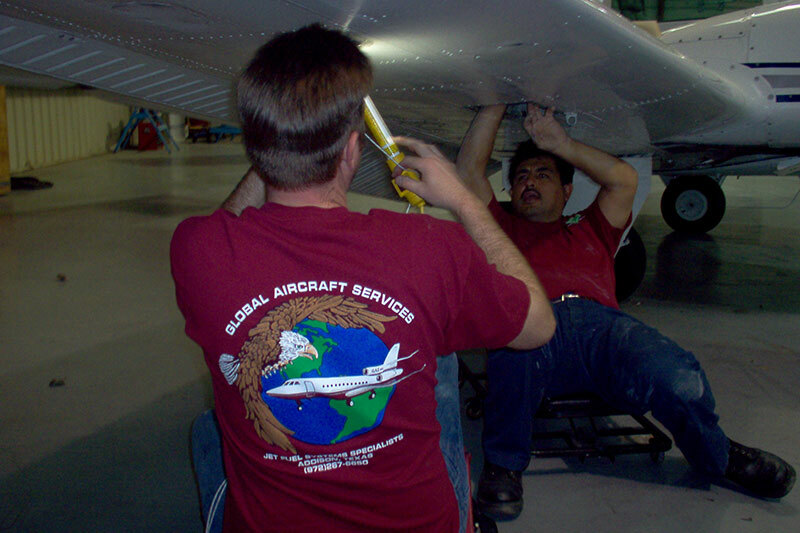 Leaks in your aircraft fuel tanks may be small and gradual or they may be severe and noticeable, and regular inspections and maintenance services from Global Aircraft Service are recommended to keep your fuel tanks working properly. 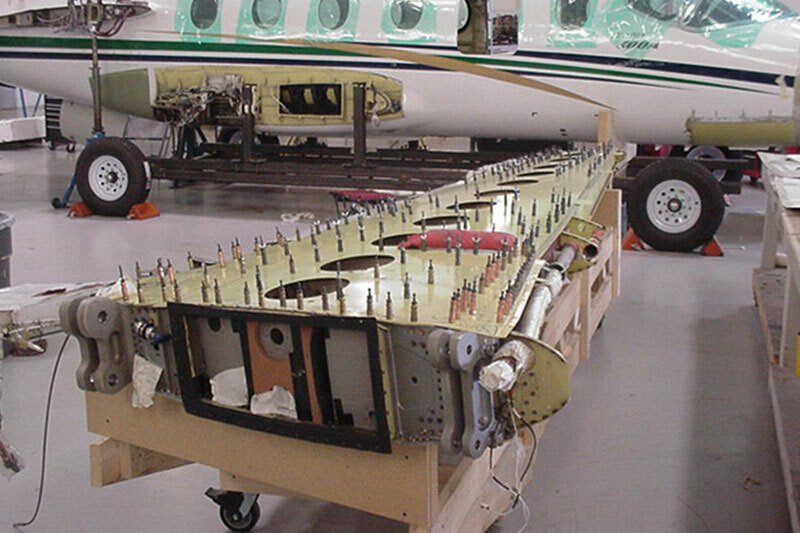 To find out more about how we can assist you with plane leak detection, please contact us today!